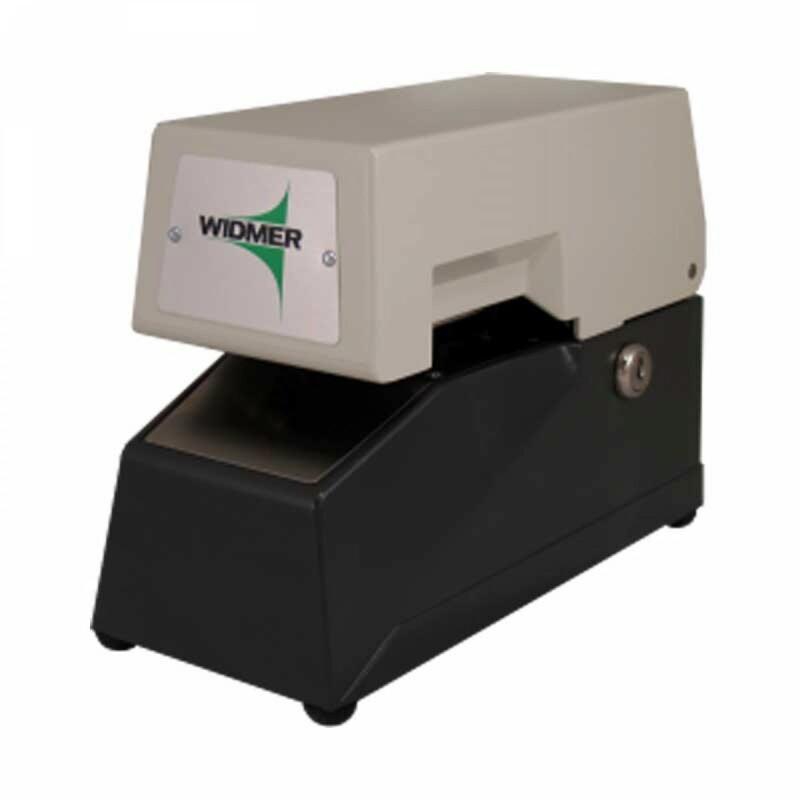 The Widmer CC-3 Check Certifier saves time and money. Check certifier with security lock and standard upper engraved dies. A very secure and Tamper-proof method of certifying checks at bank teller windows or platforms. Insertion of the check activates the trigger for split-second certification.To Operate Simply plug into an ordinary AC lighting circuit. Insert security lock key to operate imprint. The numbers will advance automatically with each impression.